2015 Bounty (Writer), Mini-series, illustrated by Mindy Lee and published by Dark Horse Comics. 2013 Rat Queens (Writer), Eisner nominated ongoing series, illustrated by Roc Upchurch and published by Image Shadowline Comics. 2013-2014 Black Tusk Studios staff writer for unannounced Microsoft Games project, no longer active. 2012 Debris (writer), limited 4 issue series, illustrated by Riley Rossmo and published by Image Shadowline Comics. 2012 Grim Leaper (writer), limited 4 issue series, illustrated by Aluisio Santos and published by Image Comics. 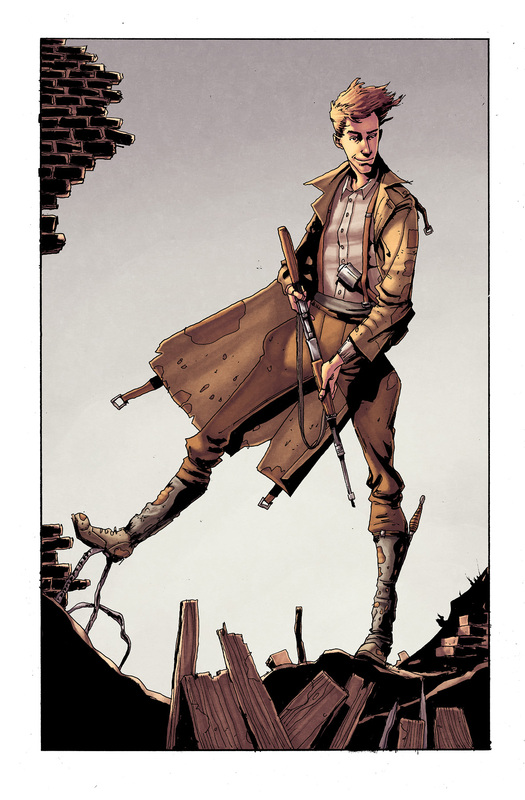 2012 Peter Panzerfaust (writer), ongoing comic series, illustrated by Tyler Jenkins and published by Image Shadowline Comics. 2012 Sky Pirates of Neo Terra (writer), Intellectual Property developer and web comic writer, Day 21 Studios. 2011 Between Worlds (writer), novel, published by Bundoran Press. 2011 Green Wake (writer), critically acclaimed, repeat sellout ongoing comic series, illustrated by Riley Rossmo and published by Image Shadowline Comics. 2011 Intrepids (writer), critically acclaimed, limited 6 issue comic series, illustrated by Scott Kowalchuk and published by Image Comics. 2011 Snow Angel (writer), original graphic novel, illustrated by Tyler Jenkins and published by Arcana Studio. 2011 Super Motherload (writer), PS4/PC videogame, published by XGen Studios Inc.
2010 Vehicle Magazine (editor, writer, co-owner), self published narrative magazine. 2010 Joe Shuster Award Nominee self-publication category for short stories (The Soldier, Faith) appearing in VehicleMagazine. 2009 Rekill (writer), motion screen test for an animated comic. 2009 Beautiful Creatures (writer) limited 2 double issue comic series, illustrated by Ash Jackson and published by Red 5 Comics.